We take thousands of photos with our cell phones every year, and actually doing something with them can seem like a daunting task. Here I go through the easiest way to create a photo album with them, to make sure they aren’t forever forgotten. I personally love cell phone cameras. The quality of the images they take is very good, and I almost always have my phone on me. The amount of photos we take with our phones adds up quickly. If you take three photos every day, you’ll take over 1000 photos in a year. And I’m betting that you’re taking a lot more than three. I think we all want to be able to look back on all of these photos someday. But having so many photos, and not being sure exactly how to handle them makes them likely to remain untouched and eventually forgotten. I thought I would share what I do with my own cell phone photos. This doesn’t require any special skills, besides some general computer knowledge. 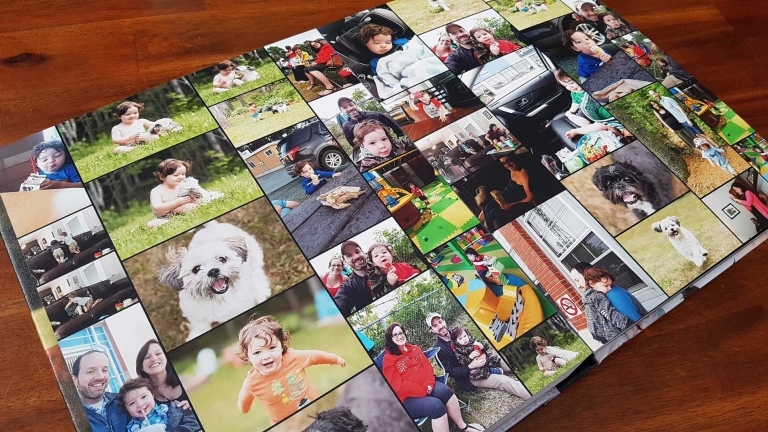 The best thing you can do with your cell phone photos is to print them in a large family photo album. An album will always be close at hand, doesn’t need to be plugged in, and is immune from viruses and hackers. Set your phone to automatically back up your photos online. There are different ways of backing up your cell phone photos. For simplicity, I recommend using Google Photos. All you need is a free Gmail/Google account, and every photo you take with your phone will be backed up online automatically. This way, if you drop your phone down a manhole, or your toddler accidentally deletes them all from your phone, your images will still be safe. Download all your photos from Google Photos into a folder on your desktop or laptop. To do this, head to Google Takeout at https://takeout.google.com/ and login with your Google/Gmail account. Here you can download different kinds of data that you may have backed up from your phone. In this case, just select “Photos”. Once your download is prepared, you will be emailed a link at which you can download the .zip file containing your photos. Sort and select the photos for your photo album. Open your email from Google Takeout and click on the link to download your photos. Move your photos all into one folder, and sort by Date Created (earliest to most recent). Select the photos you want to add to your album. You can create a new folder, and move your favaourites to that folder. I’m not too selective at this stage – I just use this step for taking out duplicates, photos that aren’t in focus, and the beautiful dark photos I took when my phone was in my back pocket. Upload your photos to an online album provider of your choice. There are countless options available today. Some offer fancy options for text and graphics, but I recommend against putting these into your pages. Why? It takes too much time, which means you won’t bother finishing the album since it will end up being too much work. Instead, just fill the album with photos, and you can write in details afterwards with a Sharpie as you’re looking through it together. 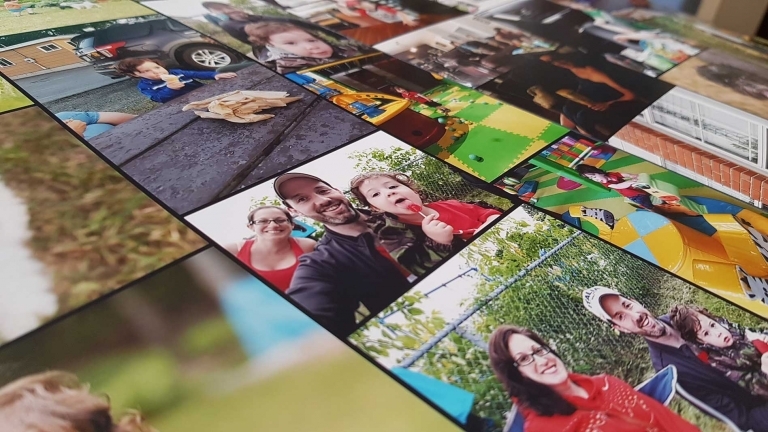 The main thing I look for in photo album companies is to find one that has an Auto-Design feature, so that you don’t need to manually insert each photo one by one. I just let the software do the work for me. Yes, I could spend hours and hours perfecting the layout, but I know that I’ll just end up procrastinating. After a while, I won’t bother to even finish the album at all. Order the album. Once you are happy with your layout, you’re finished! Order the album, and in a few weeks you’ll have a really awesome family keepsake in your hands. The first album that you create with your family photos will always be the most difficult. But if you can go through the process once, it will be much easier and faster the next time around.